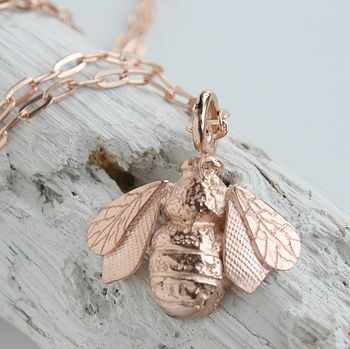 A detailed, hand engraved gold vermeil bee on a diamond cut trace chain. My lovely little bee necklace is the real star in my collection of jewellery created from aspects of nature. 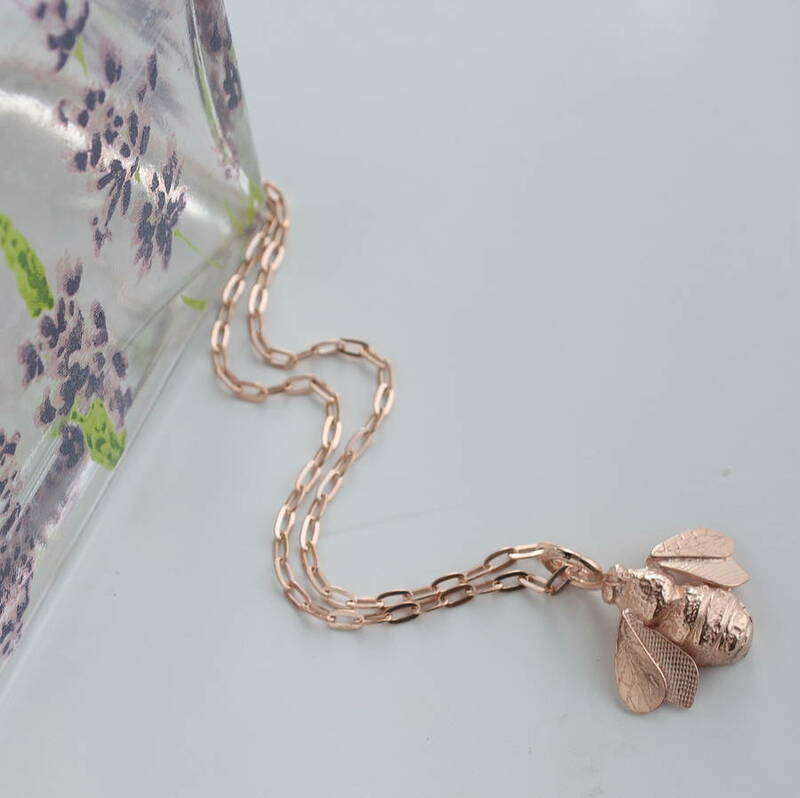 Each wing is individually engraved with delicate veining, giving every bee its own unique pattern. 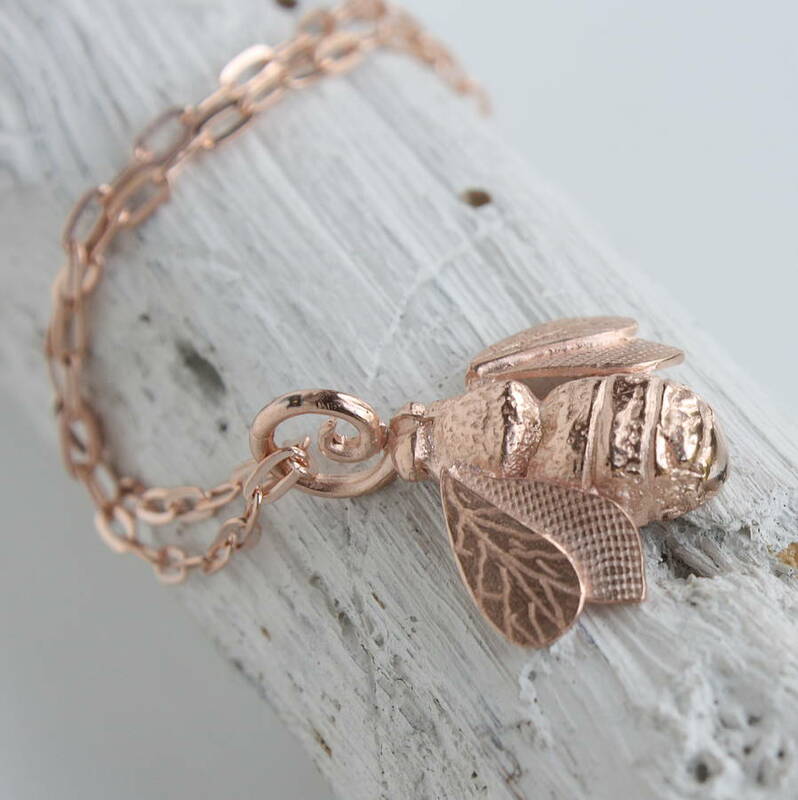 The term "Vermeil" is french and means a sterling silver base coated with 2.5 microns of gold. 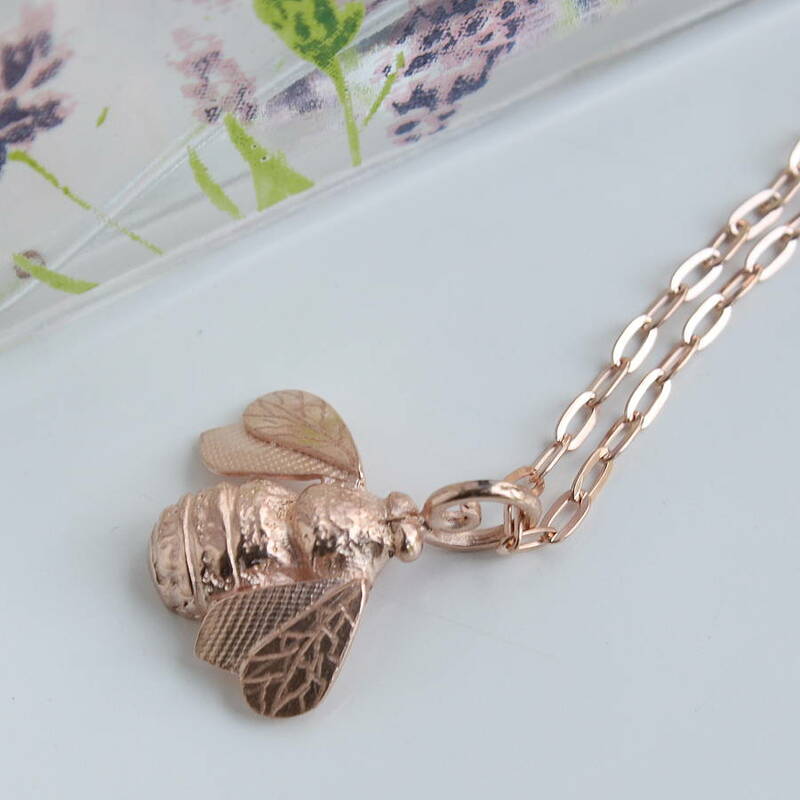 Available in yellow or rose gold vermeil. For gift purchases, why not add your own personal message and I will post your gift (presented in a pretty Caroline Brook Gift Box) and message directly to the recipient. Please note I will include a special receipt which will not reference the price. 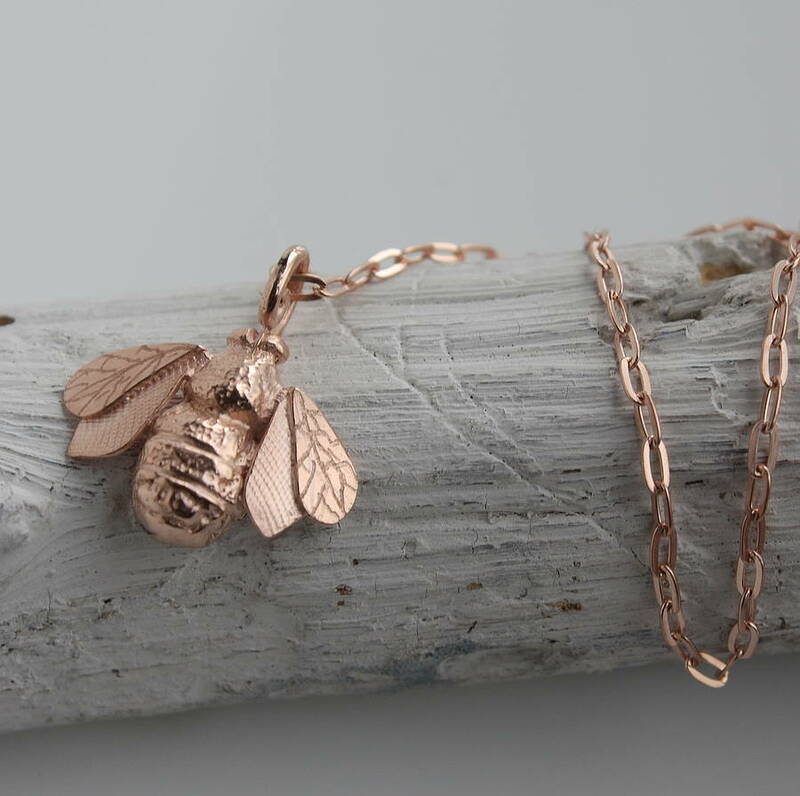 The Bee Necklace can also be ordered in solid 9ct yellow gold. Please choose from the drop down box. A choice of chain lengths are available.